In honor of these new developments at J.Crew, we’re taking the opportunity to spotlight five pieces from the new J.Crew line most indicative of Brett’s changes. “You have to have a competitive T-shirt,” Brett has said. 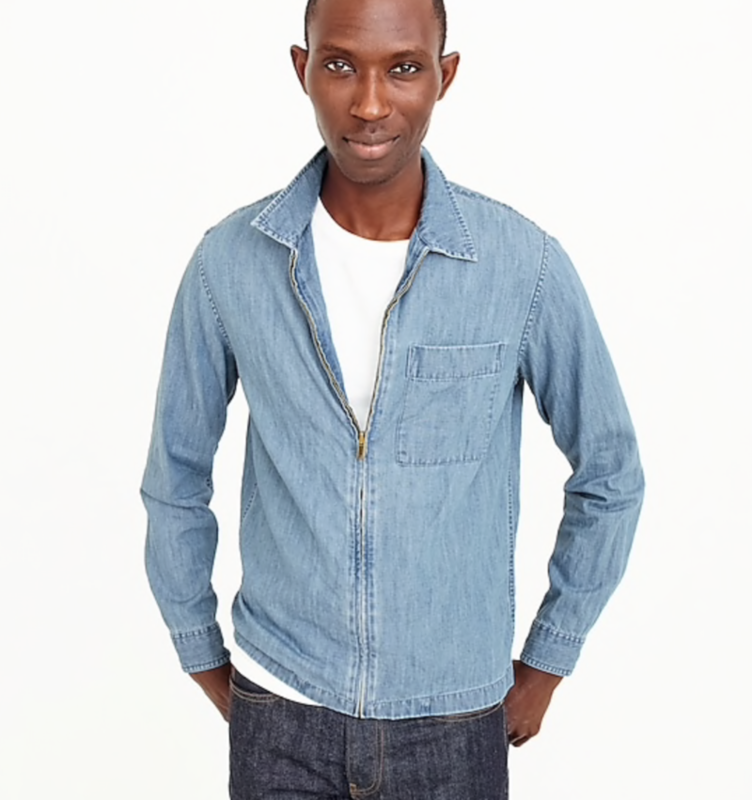 “If you lose them on the basics, then they’re not shopping you that often.” With that in mind, he’s determined that J.Crew offers a $14.50 tee that allows guys to stock their closets with basics for cheap. 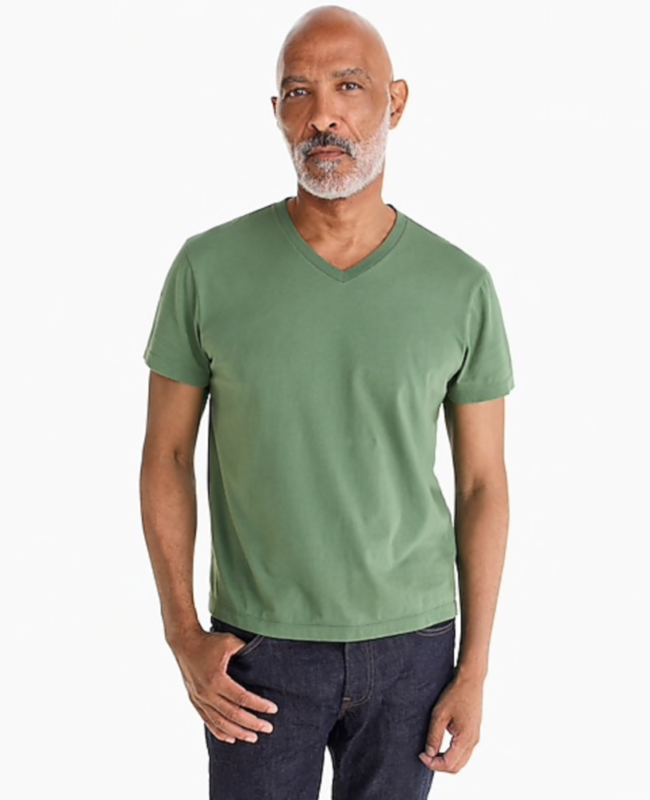 Slightly more expensive, this V-neck tee is available in 14 color options. $19. 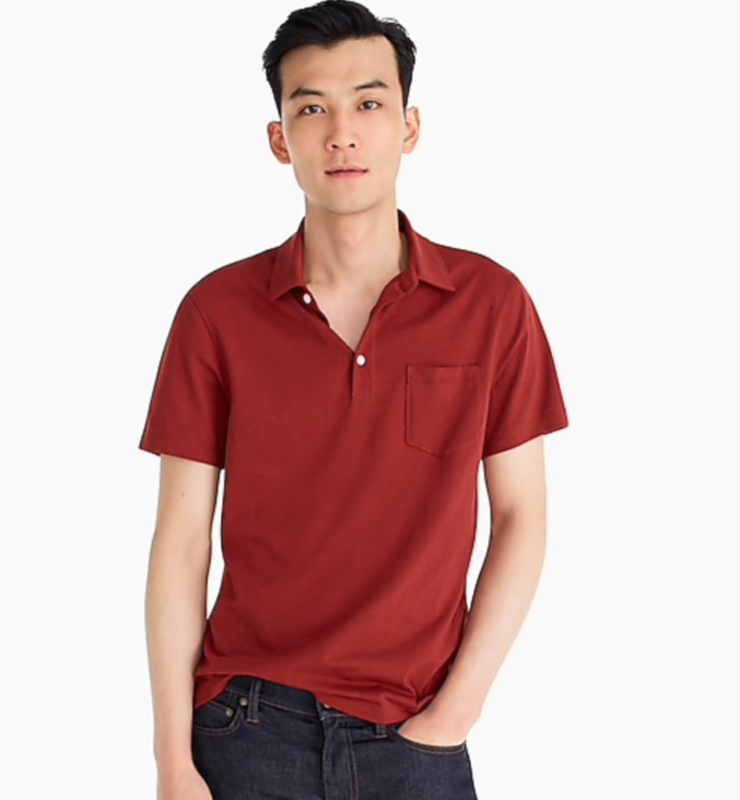 If you looking for the comfort of a tee but need to class it up a little bit, this J.Crew polo shirt is perfect, made from the same soft cotton as the label’s tees and available in six colors. $29.50. 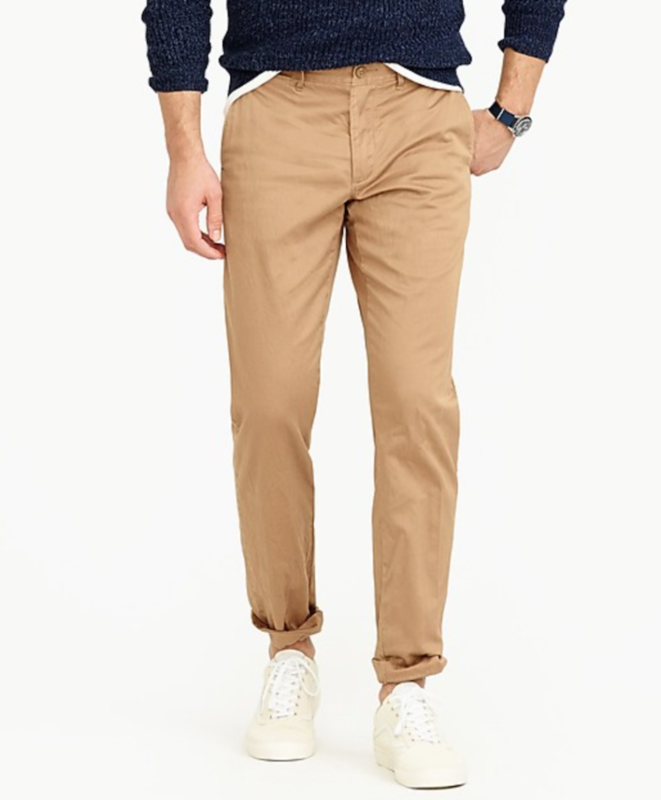 An all-purpose pant, the 484 chino has a slim fit but with stretch fabric, making it more comfortable. 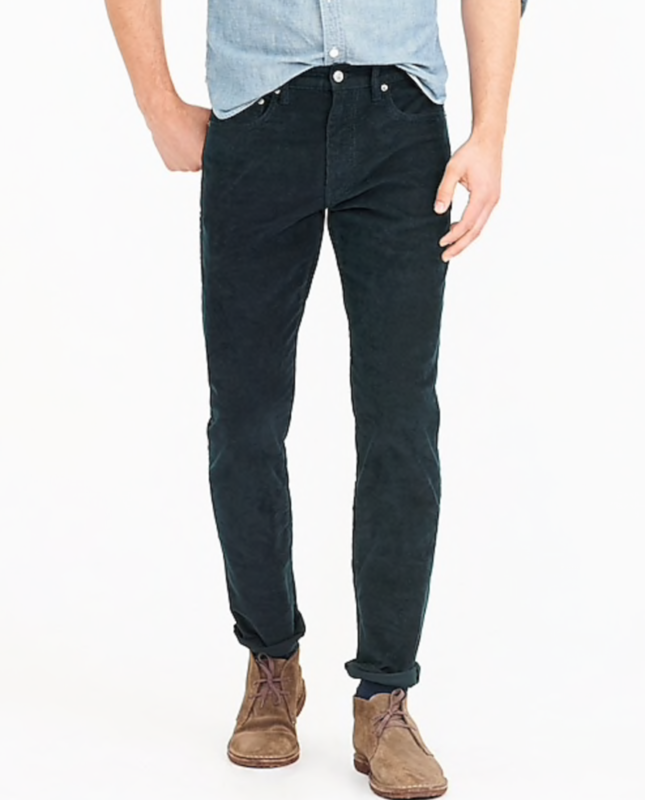 These pants sit below the waist (as pants should), are extra-slim through the hip and thigh and are perfect for the guy running from the gym to work to happy hour cocktails. Available in 14 colors. $68. 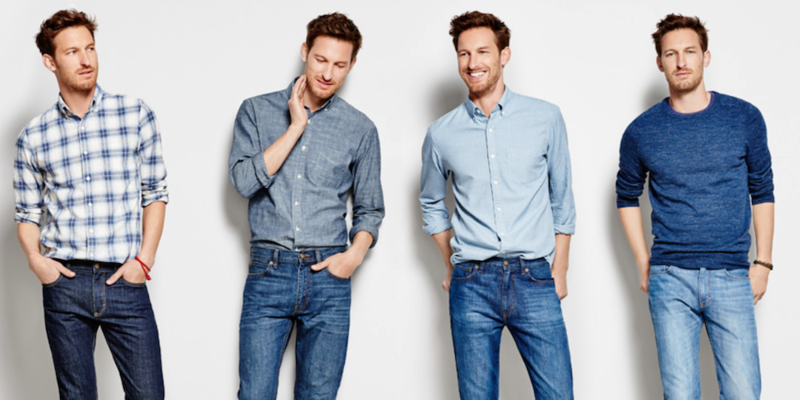 Instead of a button-down, switch things up with this lightweight denim zip-front. Roomier in the body and sleeves, it’s halfway between a shirt and a jacket, perfect for warm weather but great for layering in colder temps, too. $75. Soft and warm, corduroy has always been a classic fabric for fall, so the timing is right. This new super-soft 770 straight-fit pant sits below the waist and has a narrower leg than J.Crew’s classic fit. Available in eight colors. $79.50. 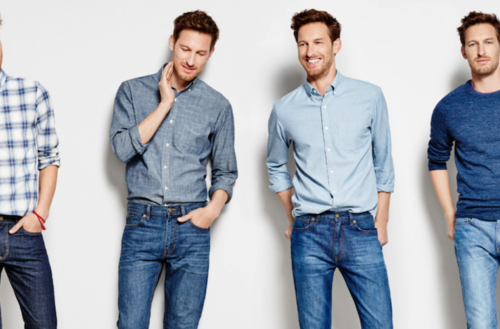 What do you think of the “new” J.Crew? Do you like what you see?